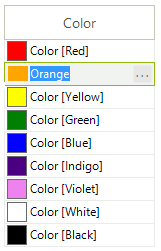 GridViewColorColumn allows RadGridView to edit colors using RadColorDialog. 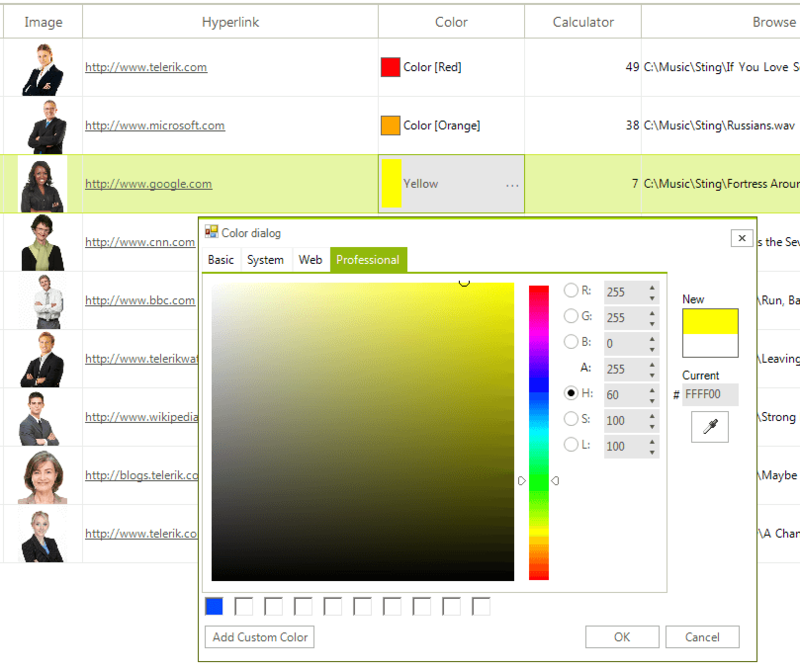 The default editor of the GridViewColorColumn is GridColorPickerEditor which can be accessed in the CellEditorInitialized event. The GridColorPickerElement gives you full access to the RadColorDialogForm by accessing the GridColorPickerElement.ColorDialog.ColorDialogForm property.